This weekend's release of the Air Jordan 11 Low GS “Citrus” may come as a disappointment to many - because most of us won't be able to fit into a pair. Dating back to 2001, this Air Jordan 11 Low has been sought out for by anyone who can squeeze into a pair. Those who can't fit will have to miss out this weekend on another dope GS sneaker from Jordan Brand. Sporting a similar color pallet as its original design, the Air Jordan 11 Low GS “Citrus” is finally remastered/retroed for the first time. White on white uppers sport a clean look while hints of citrus flavoring on the tongue, heel, and outsole completes the look. 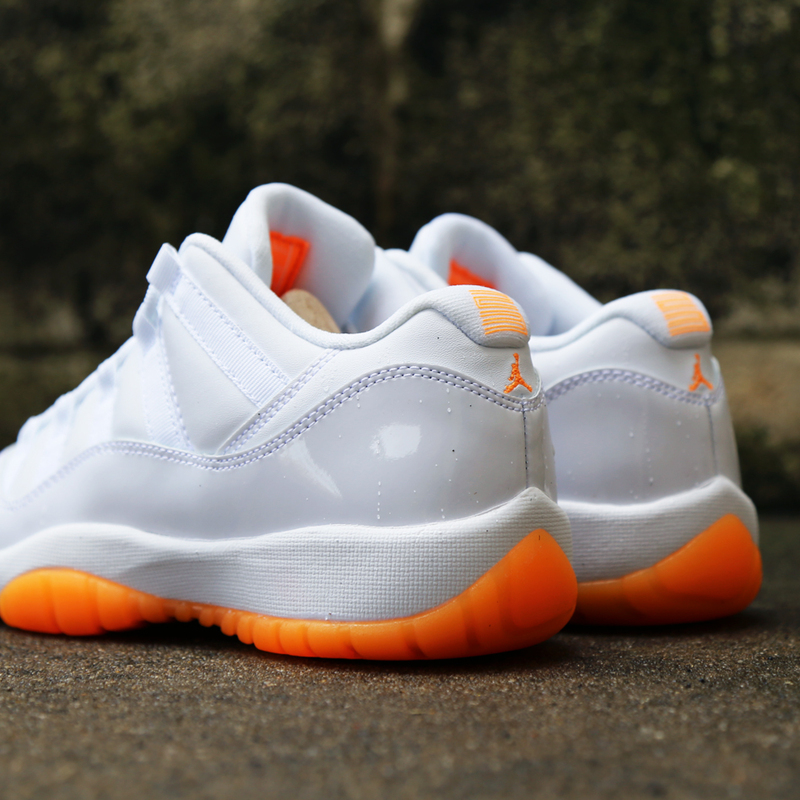 The Air Jordan 11 Low GS “Citrus” hits retailers June 20th for $120. Will you be copping?